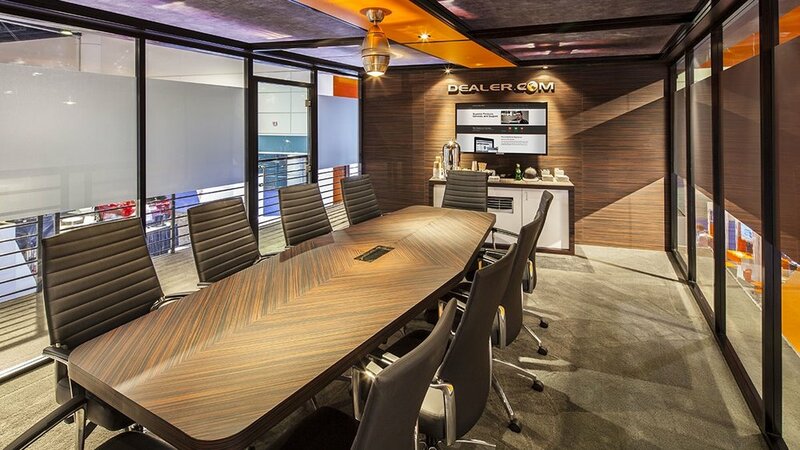 DEALER.COM was looking for an original idea for their stand at NADA. 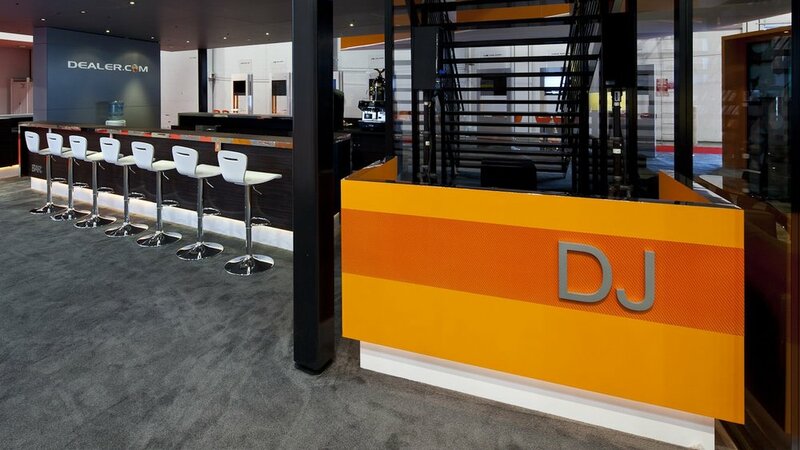 In a sea of pop up booths and sparse floors, Dealer not only wanted to set themselves apart from the pack, but create a meeting area that was enjoyable for their employees and a destination on the show floor. Tangram set to work in creating the perfect concept idea for their stand, one that would be able to tell the story of Dealer.com as a company. Tangram began with the idea of “The Garage,” the epicenter, the origin, and the catalyst for all things cool. Your band in middle school, your weird science project, your first kiss all began in the garage. It was so much more than where you put your car. It was a lifestyle. 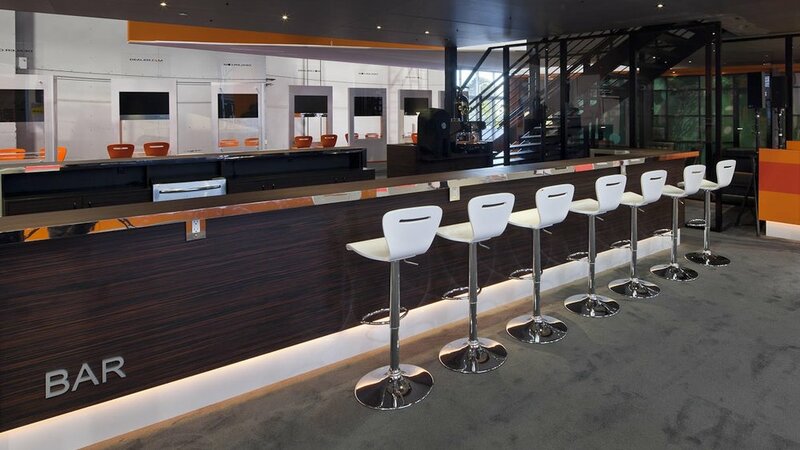 We then turned that high-end concept in to the beautiful multilevel mega-stand. This was meant to encapsulate not only the Dealer.com brand, but also the lifestyle that went along with it. By layering the stand with functional meeting spaces, integrating interactive technology, and creating private areas to prevent operational fatigue, Tangram transformed high concept in to a practical stand. Of course we couldn’t forget the DJ booth and bar for the visitors to enjoy! The booth was a destination and stood above the rest, literally, at two stories tall. The Dealer.com stand was an attraction across the NADA floor. From the bar, to the Grace Potter performance, and most importantly the smiling faces of the employees, made the concept of “The Garage” feel alive. If you found this study of interest, or would like more information, please click the "TELL ME MORE" button.